From the year 2015 and now 2016, it seems as if the 80's-90's racers are back in full force, as we've had a number of games now that take us back to the days of Lotus and Outrun all at top speed while also adding psychedelic colours with a totally radical wave soundtrack! Yet now it's time for another game to race to the top spot, with the latest Steam Greenlight addition of ' OutDrive'! 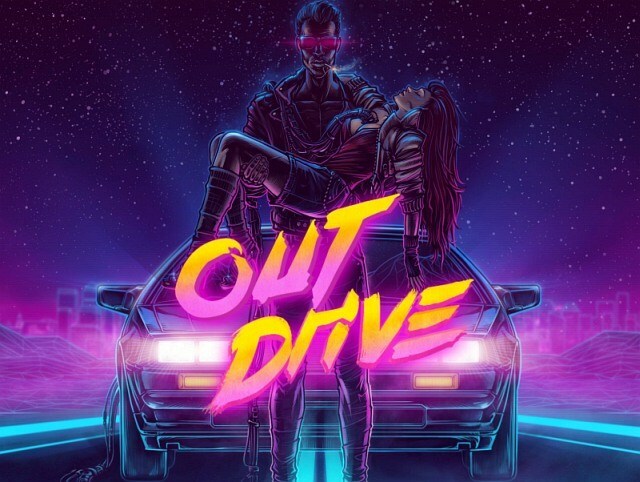 Yes indeed, ' OutDrive' is one of those racers which features trippy colours, fast paced racing and a seriously cool 80's style soundtrack that just makes you want to put your foot down hard and never stop driving. Currently the game is due to be released for PC and Linux in Spring 2016, however it's down to you to give it that Steam Greenlight success!